It pays to sell stuff on eBay. You can buy wholesale merchandise from China and flip those items for a profit, source products locally, or sell intangible goods. Virtually anything will sell on eBay! Cash in on your entrepreneurial spirit—whether by importing goods from China or sourcing merchandise locally—is one way to make money selling items on eBay. But others are also popping up, such as selling virtual goods. The good part: Selling on eBay requires little to no startup capital. And in some cases, you can start to make money selling on eBay immediately. Most products you sell will net small, steady streams of cash. But they can add up to substantial earnings over time. 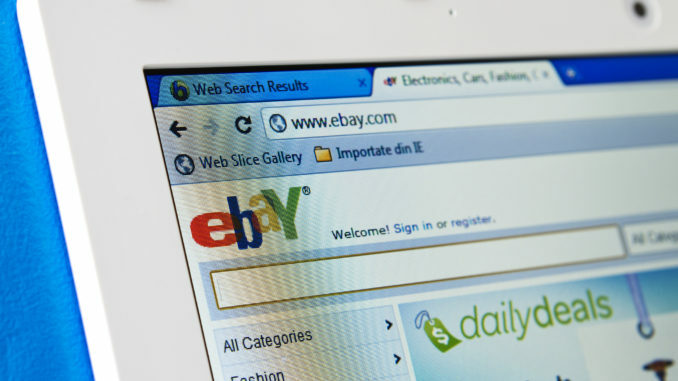 Pay close attention to these rules, and you'll find eBay awash in moneymaking opportunities. What is eBay and how does it work? eBay Inc. is a multinational corporation and online e-commerce marketplace, where businesses and consumers can come together to buy or sell goods through the eBay website. A seller lists a product on eBay, from money clips to antique silver coins, vehicles to sporting goods. The person selling the item can choose between an auction style listing (a sale in which the goods are awarded to the highest bidder) or offer a Buy It Now option (a buying option that makes it possible for a buyer to purchase a item straightaway at a fixed price). In an online auction, the seller list an item for sale at a price they choose, usually starting the bid at a low cost. Buyers then bid to decide the final price. When the auction ends, the highest bidder wins. The auction winner is then obligated to pay for the goods or property. In a Buy it Now listing, a seller list an item at a predetermined price that is not subject to be changed. A buy now listing allows the buyer to purchase an item at once. Buy It Now listings provide sellers predictable profits. With an auction style listing, the seller could either break even or land a huge payday. How to import products from China to sell on eBay! Buying products from China at a low price, with the intensions of truing a profit on eBay, is one of the best-paying jobs. But how do you know what items are going to sell, and where do you find wholesale suppliers? How to you know what items will sell on eBay? Go to eBay and find products that are small, durable, affordable, lightweight, and profitable, such as money clips or small automotive parts. Preferably, the product should be an in demand item, one that is sought after by large numbers of people. Start clicking on sellers listings that offer a Buy It Now option to determine whether or not they’re making sales for that particular item. If a seller is generating sales for that item, it will show you the quantity of transactions made in red bolded numbers—located directly above the blue Buy It Now button. Sell small products - compact items cost less to ship. Their also quicker to package, saving you valuable time. Time is money, so spend it wisely. Another great thing about selling small products is you can send them using standard mail. Another words, you can weigh the item at home, determine the shipping cost, affix a postage stamp, and drop off the parcel at a USPS mailbox. This is especially helpful to people who cannot make it to the post office during business hours. Sell durable products - customers who receive broken items in the mail will expect a refund, and having to pay back money consistently will hurt your bottom line. When possible, choose items that can withstand pressure or are resistant to damage. Sell lightweight products - it’s hard to make money if the cost of shipping exceeds the profit. Selling small thin merchandise will also require less inventory space. Sell profitable products - a “profit-making” product is any article that can yield a financial gain of $3 or more per sale. That might not sound like much money to you, but I earn over $240,000 yearly by selling items that generate a net profit of $3 to $5 per sale. Sell sought after products - you won’t make large amounts of money if your inventory isn’t moving. If your goal is to make big bucks on eBay, sell items considered a necessity rather than a want. Where to find wholesale suppliers? I use the term wholesale supplier loosely. Technically, all the items I sell on eBay are purchased from the manufacture, or a wholesale supplier. Some people refer to wholesale suppliers as distributors. Manufactures are companies involved in the making of articles on a large scale using machinery. They’re responsible for the production of the product. Wholesalers are merchant middleman who buy merchandise in bulk directly from the manufacture. Wholesaling is the resale of goods or merchandise to retailers or outlets, at a slightly higher cost than what it was purchased for. The products I sell on eBay are bought from Alibaba.com or AliExpress.com. Most of the merchants on Alibaba and AliExpress are manufactures or resellers who trade in large order quantities, however, both Alibaba and AliExpress also targets consumers. Both Alibaba and AliExpress are well known for importing products to businesses worldwide. Scroll through the list of merchants and determine who’s offering the same product at the lowest price. Figure in the shipping cost into the final price. Review the merchants history, i.e. are they a trusted supplier, how long have they been in business, do they have a history of positive reviews? Find out if the merchant has similar items for sale. Maybe you can discover like items and combine shipment for a reduced cost. Establish whether or not the merchant offers a discount for larger orders, this is a great way to earn some extra pocket change. Most wholesale suppliers carry a wide selection of similar products. Purchasing multiple products from the same wholesaler is a great way to increase your product inventor, save on shipping cost, and increase profit. You do NOT need a license to import items into the USA if the total purchase is under $2000 dollars, and the importation of goods is marked for personal use. Any import that exceeds $2000 requires a import permit. You can however utilize an import broker for importations exceeding the legal limit—for a small fee. For more complete information on importation laws see “Importing into the U.S.” Furthermore, never attempt to import brand-name articles that are trademarked, such as name-brand shoes, handbags, DVDs or other copyrighted material without a license. These items will get sized by Customs if discovered. How to source merchandise locally to sell on eBay? If you want to sell items on eBay, but don’t want to import products into the U.S. from China or other countries, why not source merchandise locally? There are hundreds of local places to obtain products to sell on eBay, and sometimes these items offer the biggest reward. It's common to find a valuable pair of jeans at a neighborhood yard sale, then sell it for some serious dough on eBay. Or maybe you might discover a store going out of business in your city, in which case you might be able to score items at markdown prices. Sourcing products locally is what originally got me hooked to eBay. Some of my biggest paydays resulted from souring products that where being discontinued or removed from the market. Do you remember the original diet pill Metabolife 356? It was a bodybuilding supplement that contained Ephedra. The original version of Metabolife 356 was a hot selling item on eBay, but when the U.S. Food and Drug Administration announced they would ban the product in the U.S., I knew it would be the hottest selling item on eBay. Before Metabolife 356 was officially banned from being sold in the U.S., I went to every store in my city and bought every last bottle I could find. I spent every dime I had and maxed out every credit card I owned. Once the product was officially prohibited and no longer obtainable, I started selling each bottle on eBay for three times the amount I purchased it for…and I made a small fortune! But my winnings didn't stop there. I continued to periodically search for more items that would be discontinued from the market, and discovered a product called Orudis KT (ketoprofen). Orudis KT was an over-the-counter pain reliever. The product was scheduled to be voluntarily removed from store shelves. Each bottle of Orudis KT sold for $11.99 in stores. I managed to obtain 600 bottles at a cost of $7,200. Once the store shelves ran dry, I started selling each bottle for $35 bucks plus shipping on eBay. Within 3 months I sold all of my inventory and raked in $21,000. My net profit was $13,800. My point is, sometimes when you source products locally, it can yield the highest return on your investment. Why not sell virtual goods on eBay? Monetize your expertise in the form of currency. You don’t always need to spend money to make money on eBay. You don’t even need any physically existing goods to sell. If you have a comprehensive knowledge or skill in a particular area, then sell that on eBay. Keep in mind, there are restrictions to selling virtual or intangible goods on eBay. For example, you cannot sell a downloadable book without actually mailing out a CD version to the customer. However, you can sell a service. eBay defines a services as any listing that’s labor intensive. This includes personalized items, custom crafts & clothing and more. In summary, eBay is one of the best places to earn a full-time living or some extra spending money, even for people without prior experience. I’ve made hundreds of thousand of dollars over the years, without much difficulty. Watch the how-to videos on this page and you’ll get a lot more insight on how I make money selling products on eBay.